Open banking is one of the hottest topics in both the financial and technology industries. If you’re interested in learning exactly what Open Banking is, Des Farrell, our Head of Product Management featured in this interview, wrote an excellent piece delving into the nitty gritty which you can read here. In part one of our Open Banking interview with Des, he delved into the opportunity is poses for not only the customers of banks, but the financial institutions themselves. Cam Smith: The whole industry is getting shaken up by Open Banking. Do banks consider it a positive or a negative thing? Des Farrell: In terms of open banking in banks, should banks consider it a threat? Should they consider it an opportunity? Should they consider it an inconvenience? 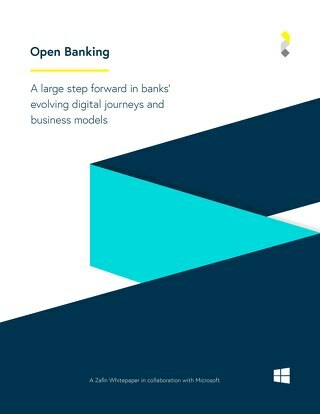 As I say, if banks were offering customer-centric products and pricing propositions that were truly adapted to their needs, open banking wouldn’t exist. If banks were truly capsulizing on the technical innovation that’s happening today being used in other industries, open banking wouldn’t exist. So, in that sense, I don’t believe open banking should be considered as an inconvenience or an additional activity for banks. It should be something they were doing anyway. They are going to be forced, formally forced, to do it now. Is it a threat to the way banks do business? Yes, of course it’s a threat in the sense that by opening up the availability of data, standardizing some of the availability of that data so that other market entrants such as Fin Techs or other banks, or consolidators like mint in the US can access data more easily, use it more easily and to offer clients products and services, or better adapted products and services. Yes, it’s a threat. How are banks going to operate with FinTechs in the new Open Banking environment? Fin techs don’t necessarily have all of the data that the banks have.  And providing the banks use it well, providing banks actually enhance their product manufacturing, their product pricing strategy manufacturing capabilities, and the way they use to offer customer propositions, then actually they can more than compete. Because actually what they can do, if you take a digital savvy bank or a forward thinking bank, it can start to access the information that their customers have with other banks. To create a true 360 view of the customer. And start to offer them alternative products and services to the ones that they may maintain another bank. So actually, it can increase their reach to their existing customers and other customers. What can a customer expect to change with the rise of Open Banking? If we look at the whole journey that a customer goes on in terms of the products and services they use with banks, say a mortgage for example, traditionally the engagement with the customer’s ended offering the mortgage. The customer takes the mortgage, they buy their property, there might be certain other aspects around the mortgage that they have to deal with or the bank will be involved, but then the journey typically ends. In reality, that customer has many other events associated with buying a property that they need to address. Some of which are financials, some of which are non financial. For example, buying furniture for that property, and other insurance around that property. There are opportunities for banks to extend their involvement in that entire customer value chain. And either directly or indirectly offer products and services across that whole chain of that particular event. Which banks have not able to do before. So, in summary, it’s a threat, it’s an opportunity, banks have got to do it and they might as well grasp the opportunity rather than be frightful of the threat. Want to learn more about Open Banking? 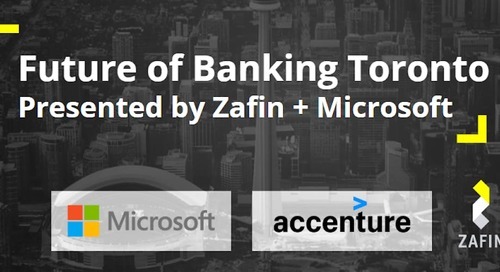 Join us in Toronto on November 6th for breakfast and a panel on the future of banking! Click here to register! The post Interview with an Expert: Des Farrell Opens Our Eyes to Open Banking appeared first on Zafin.